Portal Technologies are website design and development experts, supporting businesses throughout Scotland and the North of England grow their business using online tools. 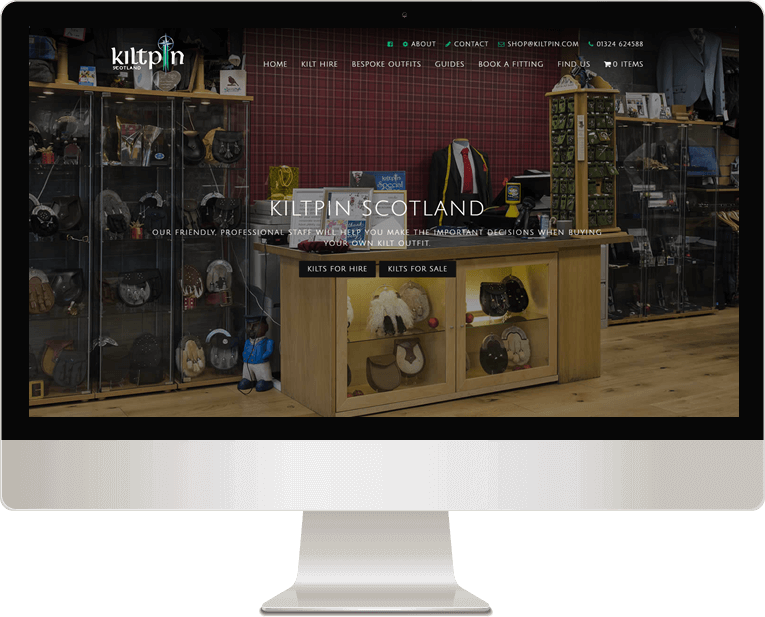 We get to know the businesses we work with and what their companies goals are and as a result this allows us to deliver a website which not only truly represents their business but also acts as a sales or lead generation tool to help grow their business. We have been designing and developing WordPress websites for over 15 years. 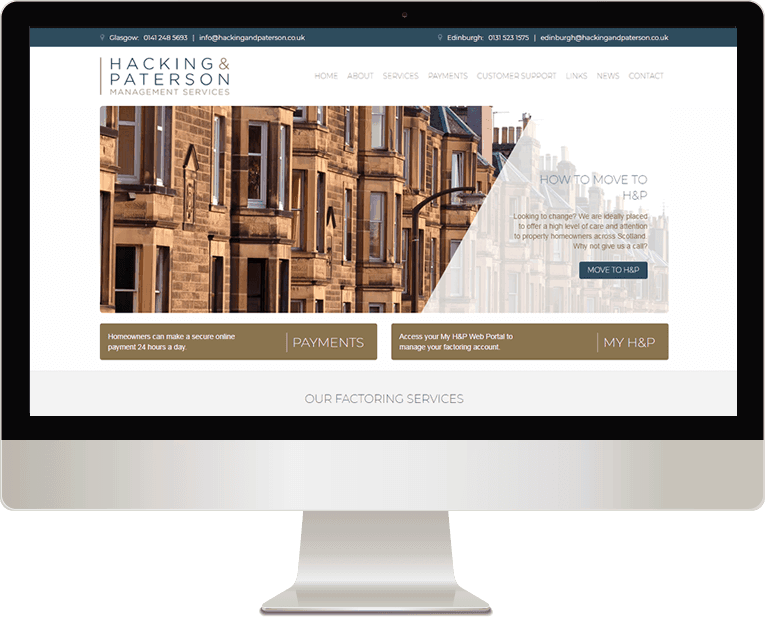 This combined with our passion for seeing businesses grow, enables us to provide you with a website which is not only commercially functional but has a look and feel which truly represents your business. As we like to get to know each business, we assign each client an account manager who is always in the loop with what is going on with your business and website project. WordPress provides a user-friendly content management system (CMS) which allows you to easily make changes to your website. Most popular CMS system in the world. With our bespoke website design service you have endless design capabilities. If you need to sell products through you website this is our preferred E-commerce platform. WooCommerce provides a seamless integration with your existing WordPress site with the ability to sell 24/7. Optimised for Ecommerce and analytics. Easy to view reporting on the success of your sales on a daily basis. We start the whole process with a kick-start meeting. This gives us the opportunity to find out as much as possible about your business and your business goals and how your new website fits into this. Additionally, we will ask for feedback on how you anticipate your website looking and offer our input and ideas on how you can enhance its features. At this stage we ask for as much information from you as possible as it ensures we can provide a website that fully represents your business. At this stage can also identify any additional media you may need here such as stock images, photography and content for your website pages. This is when we get the creative juices following – the design process! We create a mock up of how the homepage of your website will look. This gives you a good indication of the over feel and look of the website and allows us to adapt and alter any features of the homepage. As we ask for such a detailed brief at the beginning of the process we tend to get the design pretty close on the first shot but if we have not hit the nail on the head the first time we will provide another mock up free of charge. At this stage we will also provide you with a sitemap of how the website will be laid out and the number of pages you require for your site. We ask that both the sitemap and the homepage design are signed off prior to any development work proceeding. And now we get technical. Our website developer gets under way building your website using the platform WordPress. Although we use WordPress as a Content Management System we build all our websites from scratch and shy away from using themes unless a customer specifically asks for one. This allows us to create you something completely bespoke and enhances your SEO efforts. When we start the development process, we start by designing a mobile friendly website and then build out. This means your website is fully responsive and can be easily used on mobile phones, tablets and desktops. The exciting part! We spend time here ensuring your website is launched in the best way to support your Google efforts. If your website is brand new we can set up your Google Analytics page at this stage and submit your site map to Google so they know where to find your new site! If you have an existing site it is crucial we put in place redirects from your existing site to ensure you don’t lose any rankings you have with Google. We will also add your existing Google Analytics code to the new website. Once your website is ready to go and has been signed off by both you and our company directors, we will launch your website. We are very clear on this point – any website which we design and develop for you is yours one your invoice has been settled. We are happy to hand over the reins to you at any point after the website is launched. We provide you with full admin access which not only gives you full control of the website but also means you can adapt and change it without being reliant on us. Although we give you full control we recommend keeping us in the loop of any changes or are happy to discuss one of our maintenance contracts if you don’t have the time or expertise to manage the website yourself. As each of our website design and development projects are bespoke to the client our costs can vary from client to client. Here is a note of the various packages and services we can offer. Built with Search Engine Optimisation at the forefront. Portal Technologies have a wealth of knowledge in the Website Design and Development industry and are passionate about helping business grow using online tools. We pride ourselves on offering honest and transparent advice on website design and advise on the best solution for each individual business. We work with a range of small and medium sized businesses both privately and through the Digital Boost scheme provided by Business Gateway. Sign up to receive handy hints and tips about Digital Marketing and Web Design.